Did you know that the most decorated vessel in U.S. Navy history is perched right here* in Bremerton? Next time you take a walk downtown — perhaps Saturday for the Armed Forces Day parade — be sure to go to the entrance of the Harborside Fountain Park. There, you’ll find the sail of the USS Parche, a vessel highly decorated but largely unknown. 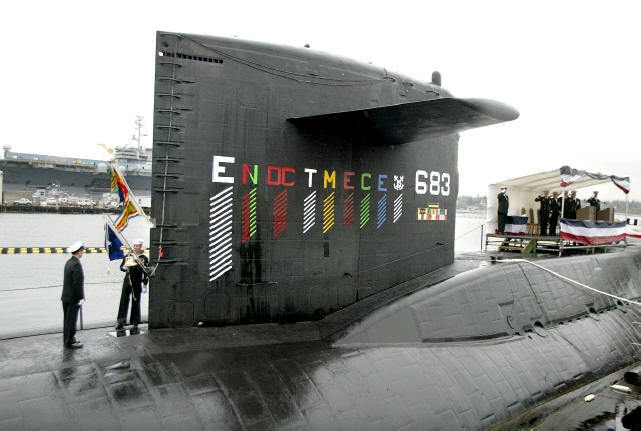 The submarine earned 13 Expeditionary Medals, 10 Navy Unit commendations and nine presidential unit citations, making it the most decorated submarine in U.S. Navy history. I’d encourage you to check out Mick Hersey’s master list here to check out all of the military memorials in Kitsap County. Hope to see you Saturday at the parade. Oh, and don’t forget to take our quiz of Kitsap County military history. *It’s the sail of the Parche submarine sits just outside Harborside Fountain Park. The rest of the vessel did not come with it.